It’s a new year, full of hope and possibility, and I’m proud to say that for the first time in as long as I can remember, I’ve avoided resolutions relating to my weight, gym habit, or food intake. Instead I’m hoping to love, eat, and create with my whole heart. I resolve to take scarier risks, plan less, and do what I love doing more. Luckily for you, all of my new year’s plans translate into creative recipes and more stories about my life as a new wife, traveling professional, and food lover! While I haven’t been posting here lately, I have been cooking. Each week I’ve been wandering the aisles of Whole Foods in search of interesting ingredients, pouring over the gorgeous cookbooks I’ve collected in the last year for inspiration, and tootling around in my kitchen to create wholesome, accessible, and delicious meals for you. The first recipe out of the gate is healthy, just in case detox is a part of your new year’s plans; it’s also delicious, just in case you can’t quit tasty food just because it’s January and everyone seems to be starving themselves. Win, win, right?! It’s snowy and cold here in Louisville and even though I’ve got on some ridiculously cute gold, sequined slippers from Santa to keep me warm, a hot bowl of soup is about all I’ve been craving this winter. But soups have always been slightly daunting to me. They seem to have a ton of ingredients, and I feel obligated to cook them all day to impart any flavor into the broth and veggies. This recipe is different, and it kind of feels like a miracle! 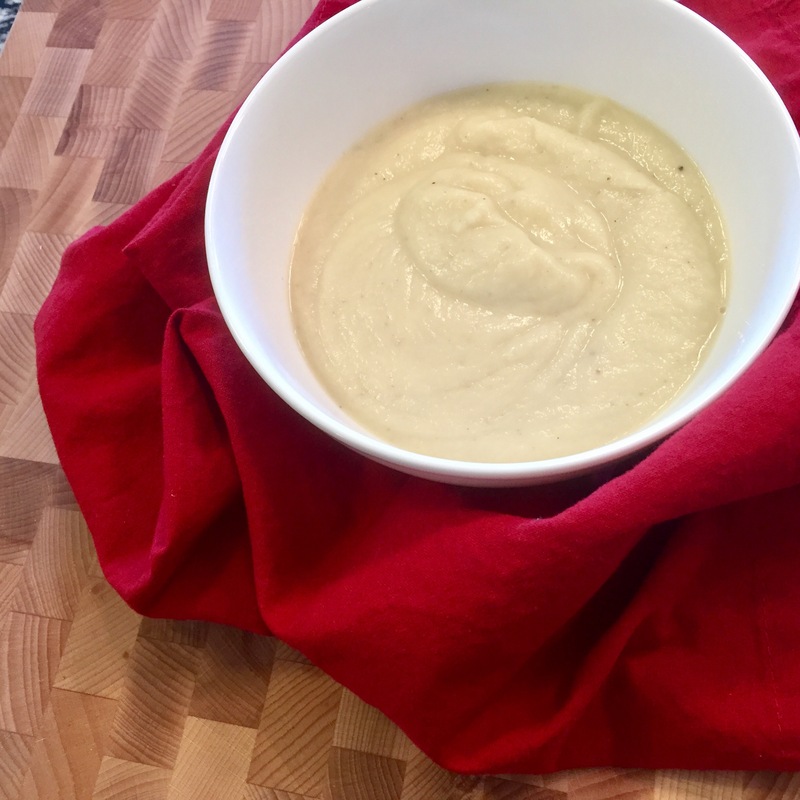 My creamy cauliflower soup is dairy free, contains just a handful of ingredients that you already have in the fridge and pantry, and is ready in thirty minutes or less. Just as you can count on this luscious soup to keep you warm all winter, you can also count on amyburnstherecipebook.com to keep you full of recipes that inspire you to ditch your takeout plans and scoot on into the kitchen this season. Lots of changes are happening in this new year. For you, for me, for our country, and the world. Tune in as Amy Burns the Recipe Book embarks on another year of food that tastes and feels good. Happy eating! 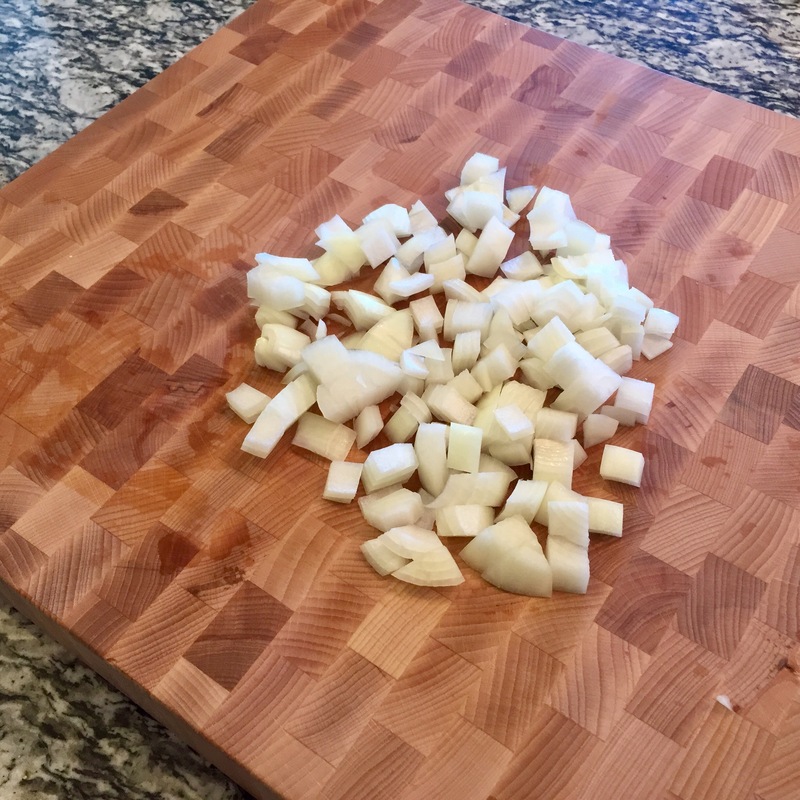 Place chopped onion into a large, heavy bottom saucepan with lid or a Dutch oven along with the olive oil or bacon fat. Add one teaspoon of the salt and ½ teaspoon of pepper. 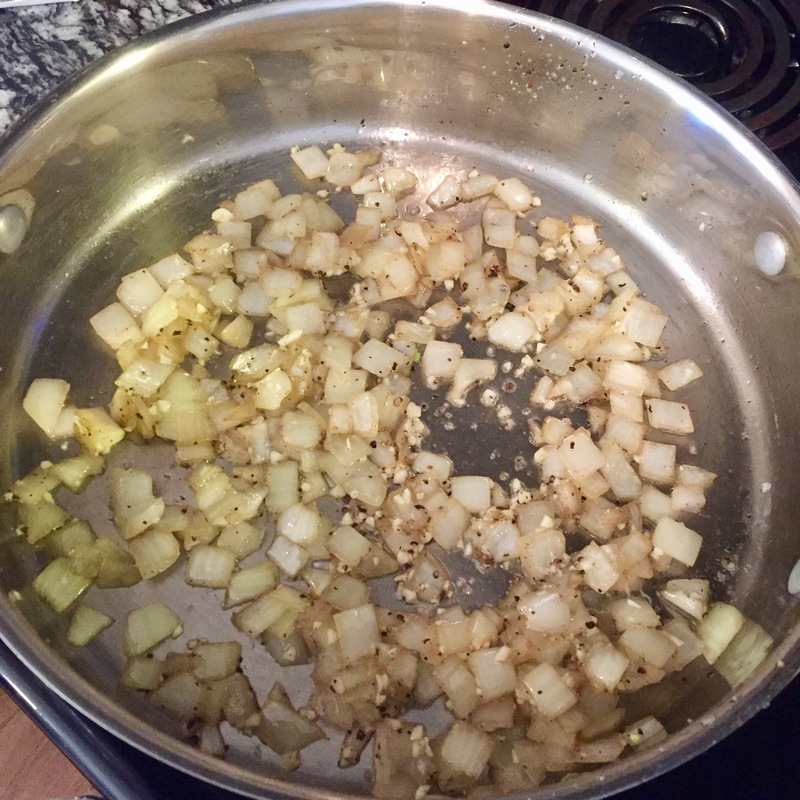 Sauté on medium heat for 5-7 minutes until the onions become translucent and slightly brown around the edges. Add the minced garlic and stir continuously for a minute; be careful not to burn. Next add the cauliflower florets and 1 quart of stock. 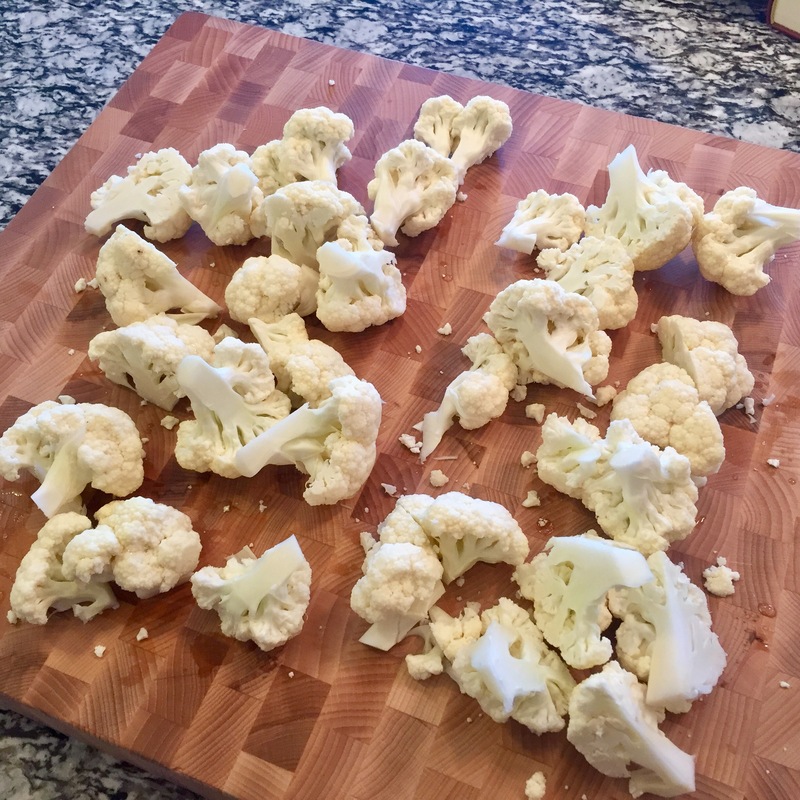 Turn up the heat to high and cook for 10-12 minutes until the cauliflower is fork tender. 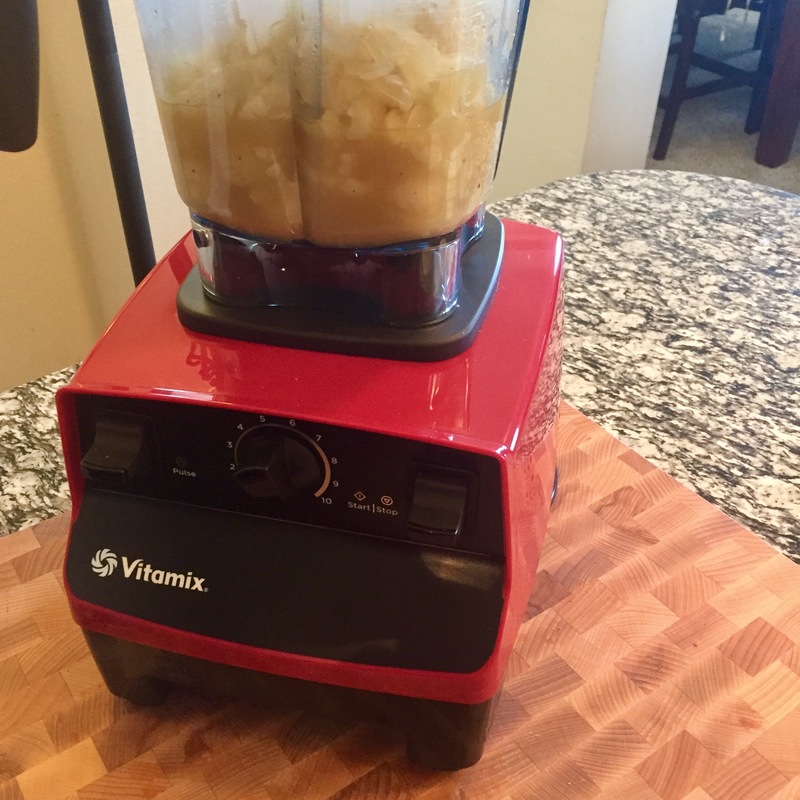 Turn off the heat and place half of the cauliflower and stock mixture into a blender. Blend until very smooth. 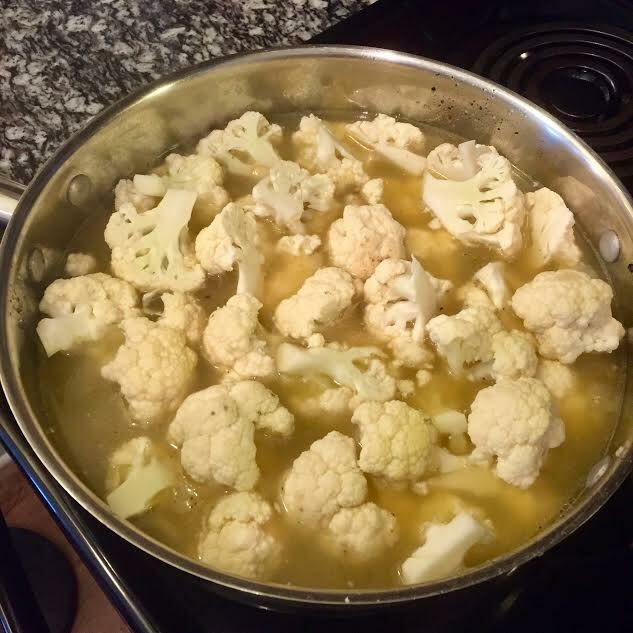 Transfer the pureed mixture into a large bowl and then repeat with the remaining cauliflower and stock mixture. Rinse the saucepan you cooked the cauliflower in to ensure all the small pieces of onion and garlic are removed. 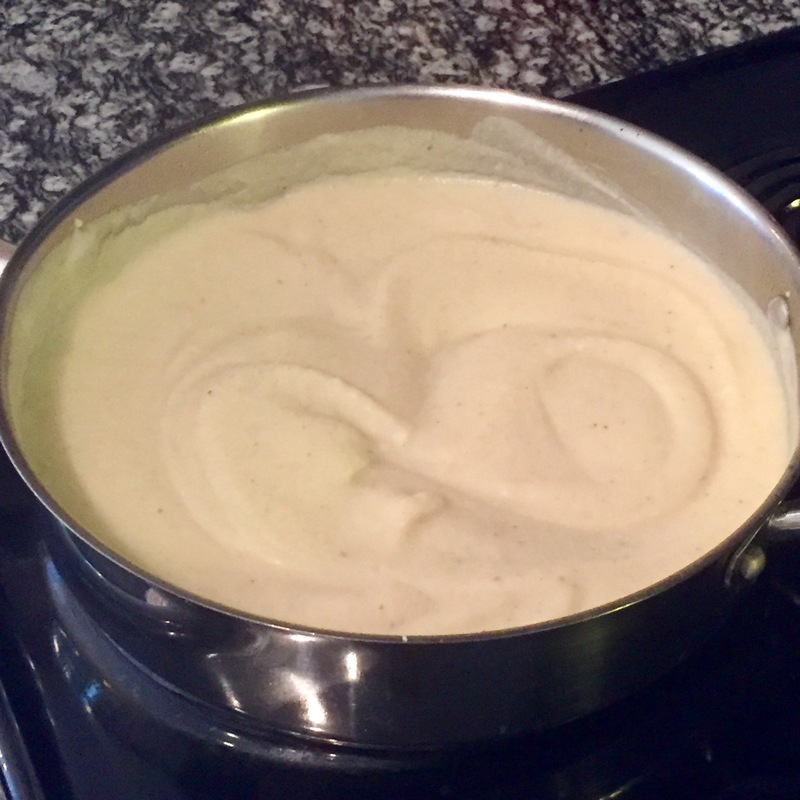 Add the pureed mixture back into the saucepan and stir in 1 teaspoon of Dijon mustard and ½ teaspoon of salt. Top with fresh herbs (dill or chives would be fab) or hot sauce for a little extra zing. Thanks for reading! 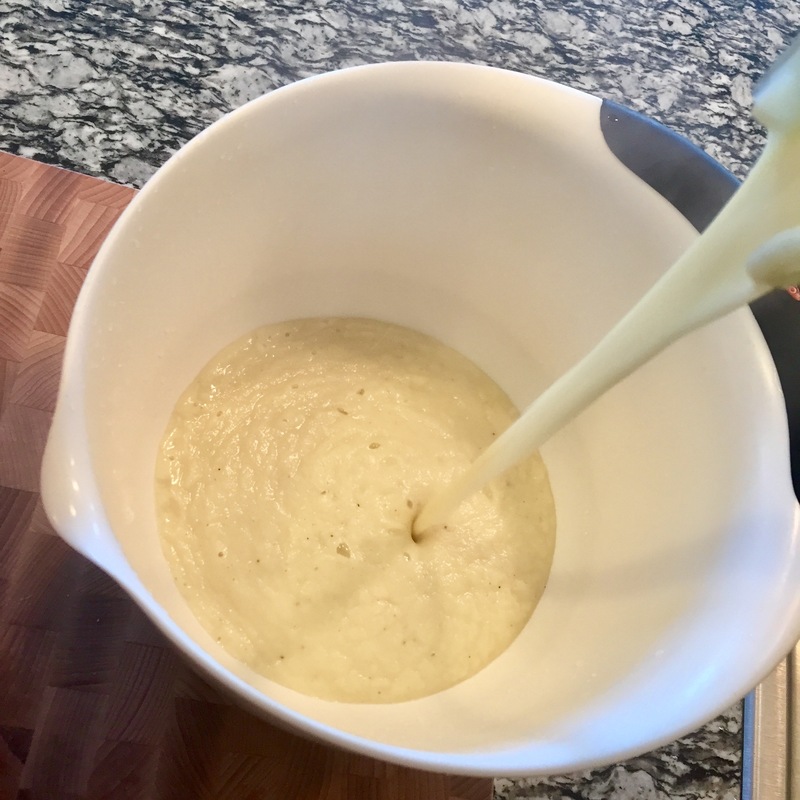 The Dijon mustard gives it a little kick, but if you don’t having any lying around, you could substitute for some champagne vinegar or lemon juice.